POLSON — One of five Republicans running for their party’s nomination to the U.S. Senate came to town last week and spent much of the evening throwing jabs at U.S. Sen. Jon Tester. Russ Fagg, a 57-year-old retired district court judge from Billings and a former state legislator and prosecutor, addressed an audience of 30 people at a Feb. 5 event hosted by local developer Mike Maddy and his wife Marlo. Calling himself a pragmatic conservative, Fagg noted that Tester voted to continue last month’s brief shutdown of the federal government and was one of only 18 Senate Democrats to do so. The other senators were mainly from the east and west coasts, Fagg said, adding that Tester has lost touch with Montanans. He also criticized Montana’s senior senator for supporting abortions after 20 weeks when he recently voted against the Pain-Capable Unborn Child Protection Act, which was approved by the Senate 51-46 but didn’t receive the necessary 60 votes to overcome a filibuster. Not counting non-controversial bills, Fagg said that Tester has voted with Sen. Bernie Sanders of Vermont 90 percent of the time and with Sen. Steve Daines of Montana only 3 percent of the time. 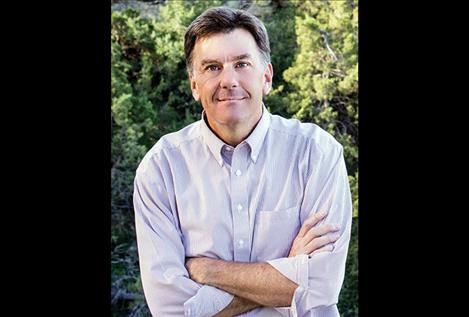 Fagg said he has raised $615,000 for his campaign in the last fundraising quarter since he announced his candidacy, 80 percent of which comes from Montanans. Tester has raised $9.14 million from 2013-18, but Fagg said 90 percent of that has come from out of state donors. He also said that the majority of funds that State Auditor Matt Rosendale, whom Fagg called his “Glendive opponent,” has raised is from out of state. In addition to Fagg and Rosendale, other GOP contenders include: businessmen Troy Downing and Ron Murray, state Sen. Al Olszewski of Kalispell and James Dean, a financial advisor from Havre. Barbara Morin said she worries about eastern Montana candidates such as Fagg. “I think that’s fair,” Fagg said, adding that he came to visit Flathead Lake almost every summer when he was growing up. “You will get love from me,” he said. “Not if I have anything to say about it,” replied Mauri Morin, Barbara’s husband, which caused the crowd to roar with laughter. Fagg said he’s not partisan and noted that some of his best friends are Democrats. A man who said he ran for office on the Blackfeet Nation asked Fagg how he was going to campaign for the votes of tribal members. Fagg said economic prosperity and growth helps more than handouts. “I’m concerned about the loss of self esteem,” Fagg said. “I’m convinced the Great Society has been a huge failure,” he said, referring to federal programs that were started in the 1960s. When asked a question about land being removed from the tax rolls locally and put into federal trust by the tribes, Fagg said he didn’t have an answer and hadn’t studied the issue. “We need federal legislation that provides PILT (Payment in Lieu of Taxes) funds to the county for land that’s not taxable,” Chuck Jarecki said. “Remember Congress is broke,” Fagg said, noting the country has a debt of $20 trillion. “I wouldn’t hold out great hope for PILT money for reservation land,” he said. Before the meeting, Fagg was asked about two complaints that were filed about him. The first, which was filed last October to the Federal Elections Commission, alleged that he spent funds improperly during four months leading up to his campaign announcement in October when he had an exploratory committee. The second one, which was filed Jan. 4 with the U.S. Senate Select Committee on Ethics, said that Fagg’s campaign finance report was riddled with errors, was filed 30 days late and failed to disclose income he earned as a judge and his private plane, among other things. Fagg said he had not received the second complaint, but believes both will be dismissed. “They file these just to throw mud even though they know they’ll be dismissed,” he said. Both complaints were filed by the American Democracy Legal Fund, which was founded by conservative-turned-liberal activist David Brock.